Then when she gave birth to her [child Maryam (Mary)], she said: “O my Lord! 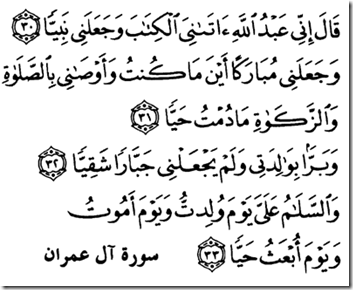 I have given birth to a female child,” – and Allah knew better what she brought forth, – “And the male is not like the female, and I have named her Maryam (Mary), and I seek refuge with you (Allah) for her and for her offspring from Shaitan (Satan), the outcast”. (Kathir I. , Tafsir Ibn Kathir, p. 763). 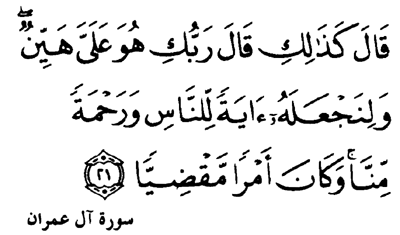 Thus, Maryam came under the guardianship of Prophet Zikariyya (Zechariah). 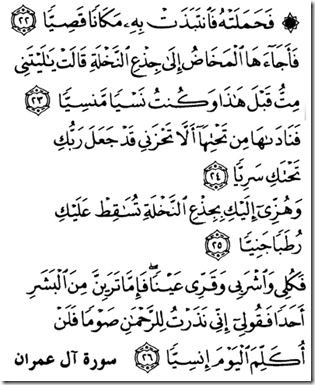 Maryam’s guardian Zakariyya (who was the husband of Maryam’s maternal aunt) was a very pious man and took good care of Maryam and raised her well. As Maryam became older, she devoted herself to the worship of Allah. Maryam fulfilled the promise of her mother and dedicated her life to the worship of Allah. She was modest, honorable, innocent, and dedicated to her task of worship. 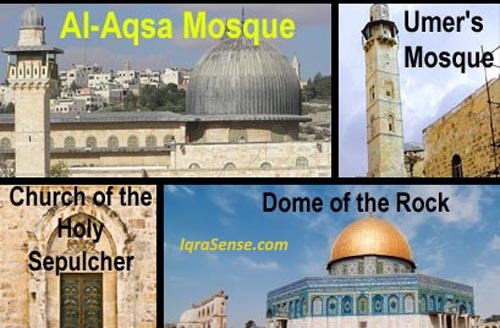 The best woman (in her time) was Maryam, daughter of Imran, and the best woman (of the Prophet’s time) is Khadijah (his wife), daughter of Khuwaylid (Kathir I. , Tafsir Ibn Kathir, p. 763). 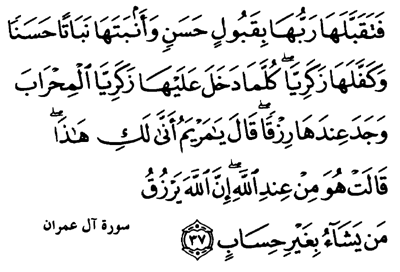 Quran (Surah Aal-e-Imran, Verse 37). As Maryam grew, she found out about her status of the chosen one. 42. 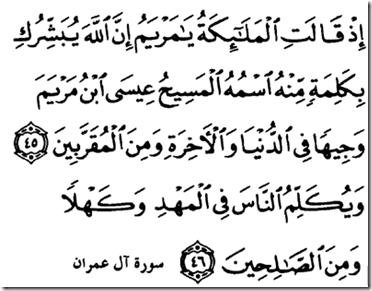 And (remember) when the angels said: “O Maryam (Mary)! Verily, Allah has chosen you, purified you (from polytheism and disbelief), and chosen you above the women of the ‘Alamin (mankind and jinn) (of her lifetime). 43. O Mary! 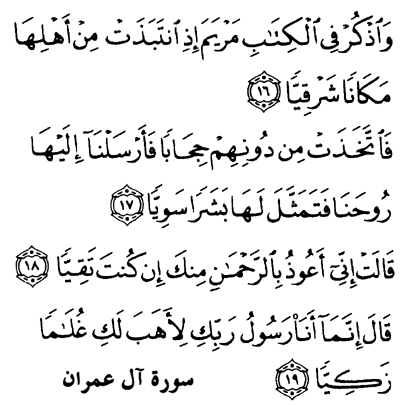 Submit yourself with obedience to your Lord (Allah, by worshipping none but Him Alone) and prostrate yourself, and Irkai (bow down) along with Ar-Rakiun (those who bow down). 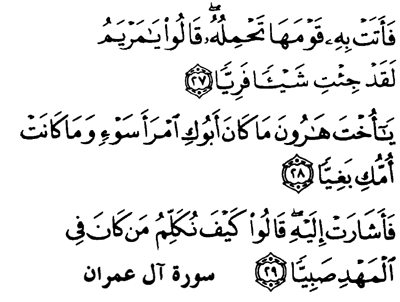 Quran (Surah Aal-e-Imran, Verses 42-43). 45. 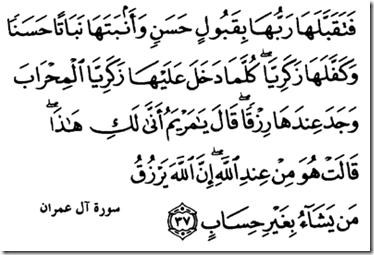 (Remember) when the angels said: “O Maryam (Mary)! 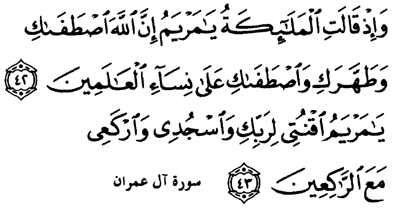 Verily, Allah gives you the glad tidings of a Word [“Be!”- And he was! i.e. 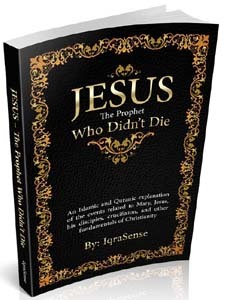 Eesa (Jesus) the son of Maryam (Mary)] from Him, his name will be the Messiah Eesa (Jesus), the son of Maryam (Mary), held in honor in this world and in the Hereafter, and will be one of those who are near to Allah. 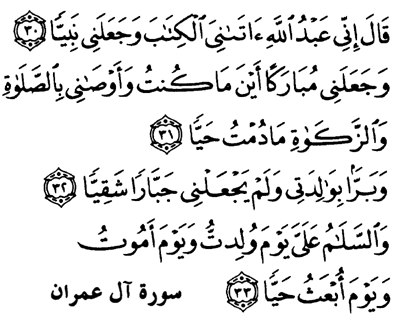 Quran (Surah Aal-e-Imran, Verses 45-46). 16. 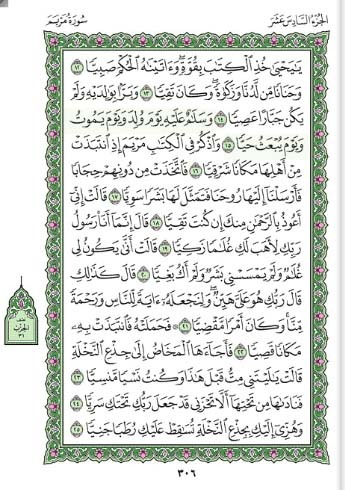 And mention in the Book (the Quran, O Muhammad the story of) Maryam (Mary), when she withdrew in seclusion from her family to a place facing east. 17. 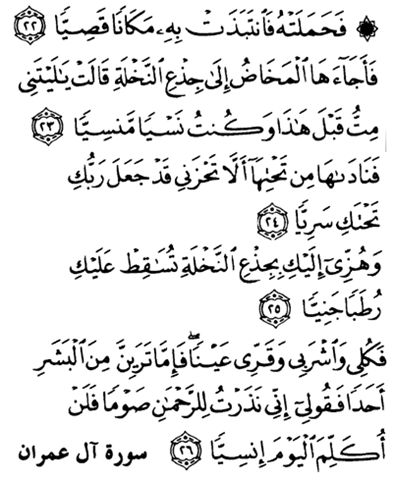 She placed a screen (to screen herself) from them; then we sent to her Our Ruh [angel Jibril (Gabriel)], and he appeared before her in the form of a man in all respects. 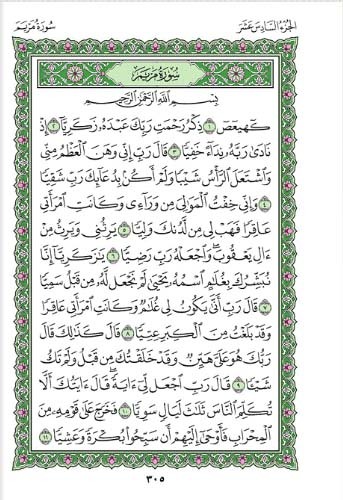 Quran (Surah Maryam, Verses 16-19). 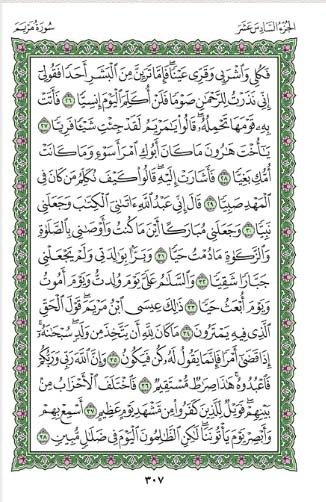 Quran (Surah Maryam, Verses 20). 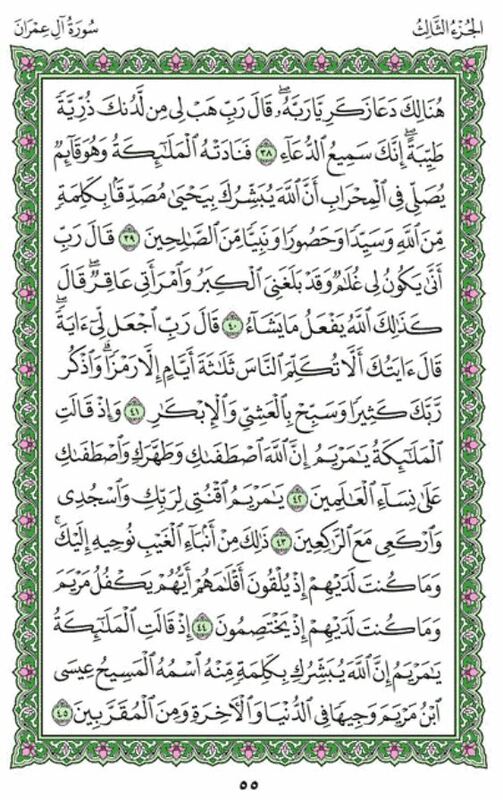 Quran (Surah Maryam, Verses 21). 24. Then [the baby Isa (Jesus) or Jibril (Gabriel)] cried unto her from below her, saying: “Grieve not: your Lord has provided a water stream under you. 25. And shake the trunk of date-palm towards you; it will let fall fresh ripe-dates upon you. Quran (Surah Maryam, Verses 22-26). 27. Then she brought him (the baby) to her people, carrying him. They said: “O Mary! 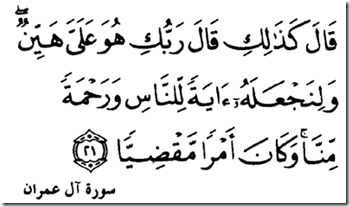 Indeed you have brought a thing Fariyy (a mighty thing). 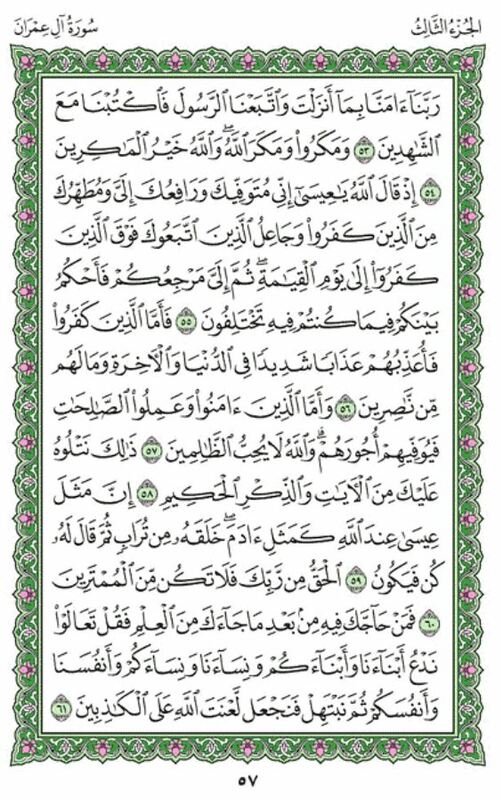 Quran (Surah Maryam, Verses 27-29). 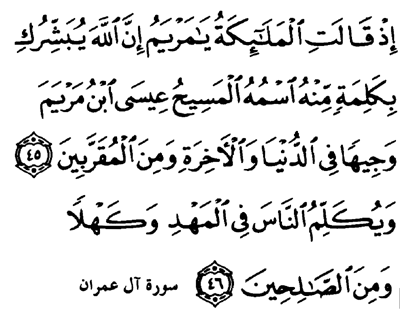 31. and He has made me blessed wheresoever’s I be, and has enjoined on me Salat (prayer), and Zakat, as long as I live. 32. 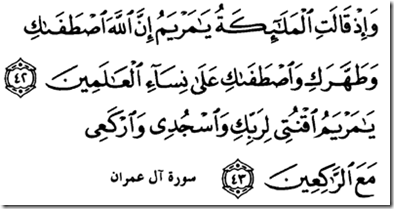 “And dutiful to my mother, and made me not arrogant, unblest. 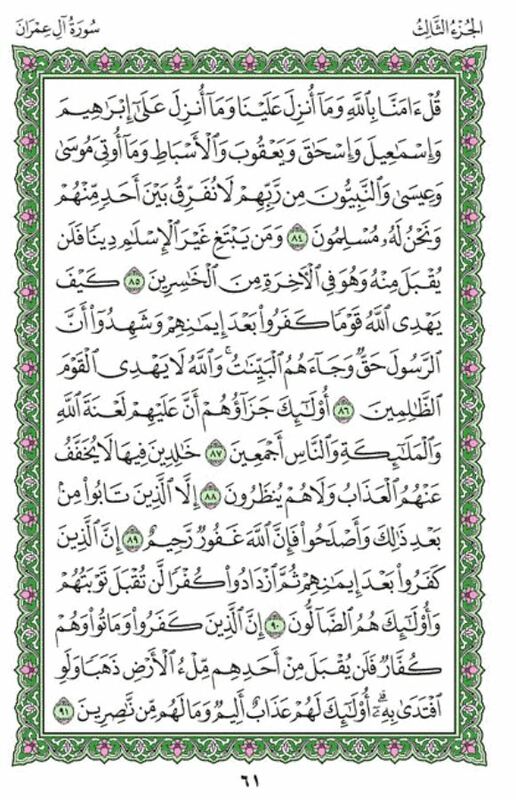 Quran (Surah Maryam, Verses 30-33). 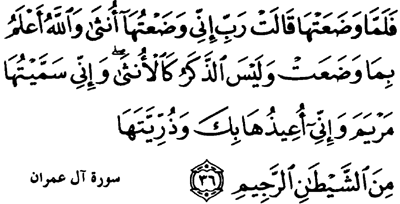 No infant spoke in the cradle except Isa and the companion of Jurayj (Kathir I. , Tafsir Ibn Kathir, p. 763). assalamalaikum. 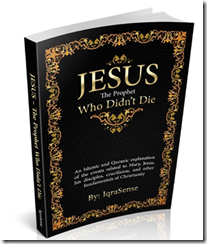 thank you for the article on prophet Isa (A.S…Jesus christ), his birth and background. i am sure it will help many to understand the story of his birth well enough. 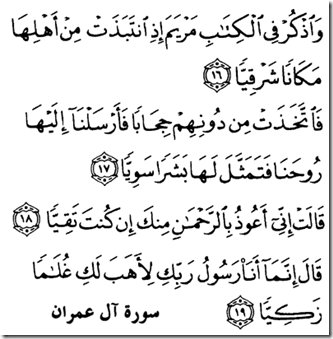 I READ THE QURAN AVERY DAY I KNOW ALL THE STORES AND AVERY MONTH I FINISH ALQURAN AND MAKE THE DUAH JAZAK ALLAH KHIER . 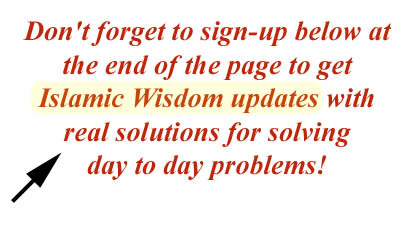 Thanks a lot for providing a very useful and authentic information about Prophet Isa A.S with complete references. Allah bless you. I’m really proud to be a Muslim, I didn’t know the full story of Hazrat Eesa ,firstly thank to Allah Rabbul Al-Amin that He made you wrote this life history. 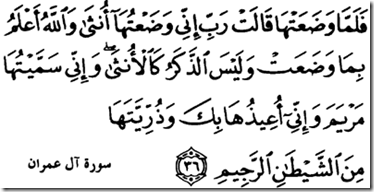 Who are the ‘Ibad ur Rahman’ (Slaves of Allah)?